Venezuela is withdrawing its largest banknote from circulation. 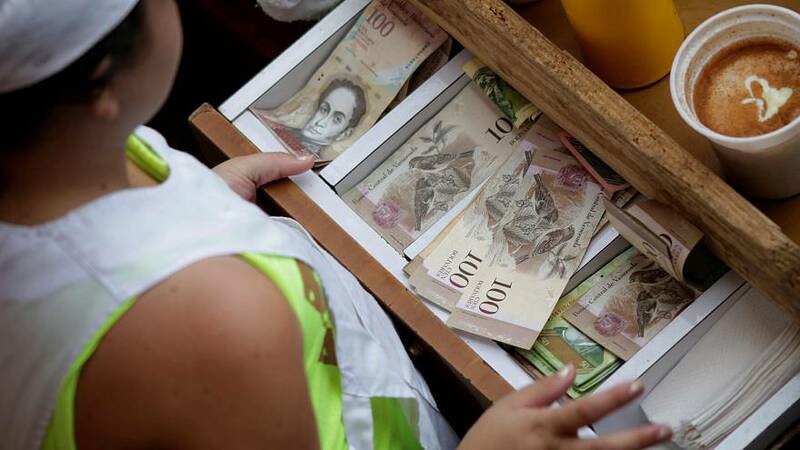 President Maduro says the move is to prevent the notes from being smuggled across the Colombian border. The 100-bolivar note is the most common in Venezuela and is worth two US cents on the black market. Annual inflation in the country is estimated at more than 500 percent. The president has blamed organised crime networks at the Colombian border for buying up Venezuelan notes in order to buy subsidised Venezuelan goods and sell them for large profits in Colombia. Critics including the main opposition leader have condemned the move as economically nonsensical. But the president is undeterred. Maduro told a news conference he’d given orders to senior generals. “I’ve told them to close immediately all possible routes of entry into the country by land, air and sea so that these banknotes don’t return… the Colombians can take them and keep their scam abroad,” he said, to loud applause from the audience of government officials. Venezuelans have 10 days from Wednesday to exchange the 100-bolivar bills at the central bank. But critics say border smuggling is not to blame for the country’s economic crisis that has brought nationwide shortages of basic goods from food to medicine.